Silk Shading is a hand embroidery technique blending long and short stitches to create realistic pictures. It is hard to define the point of history at which it became the technique we know it as today. It was most likely first produced in China where fine embroidery was common during the Neolithic period and commercial silk production started in strict secrecy already around 250 B.C.E. Samples of similar type of embroidery were found in Coptic cemeteries in Egypt dating back to the 5th century B.C.E. Throughout its known history, silk shading has been used in emperor’s palaces and royal courts. Today, the technique is kept alive at the Royal School of Needlework at Hampton Court, England. Take this rare opportunity and learn more about the rich history of this unique art form and craft. After a career as mechanical engineer, Sarah Homfray completed the Royal School of Needlework Apprenticeship in 2006 and currently teaches the RSN Apprentices and the Certificate and Diploma students, as well as undertakes freelance teaching and commissions. 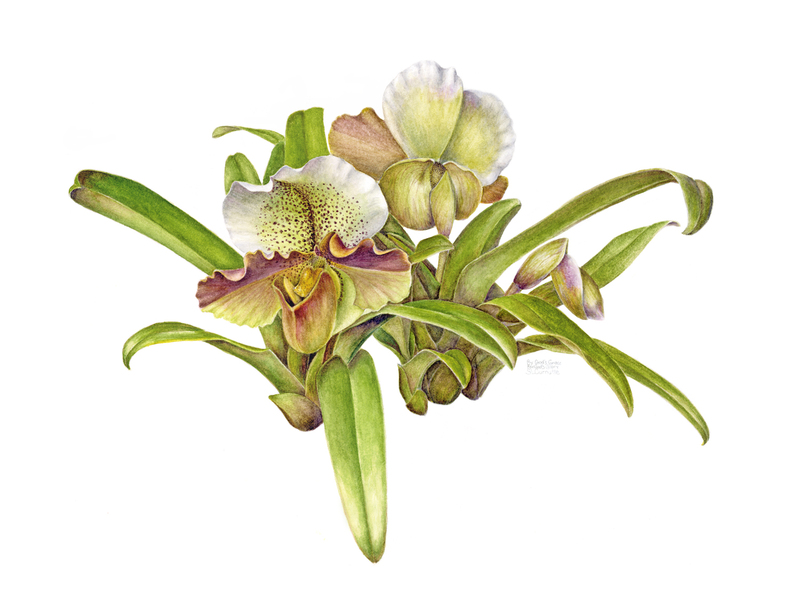 In addition to embroidery, Sarah has studied botanical illustration and printmaking. 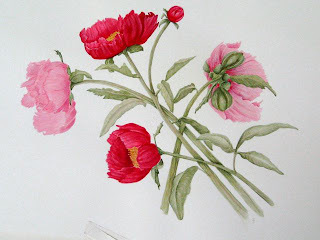 She believes strongly in observation and attention to detail, and her particular area of interest is embroidery design. Sarah holds a certificate in education from the University of Greenwich and has taught in the USA and Cyprus. 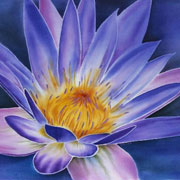 Sarah has been awarded numerous prizes for her embroidery and embroidery designs. 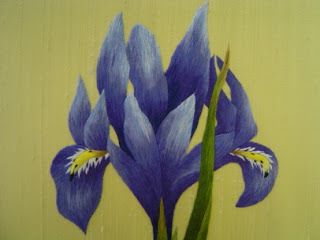 She has published in magazines and has written RSN Essential Stitch Guide - Silk Shading (Search Press 2011). She also was part of the team of embroiderers who created the wedding dress, veil and shoes of Catherine, Duchess of Cambridge (née Middleton) in 2011. We cannot display all the portfolio pieces (80 plates in total) but you can see some highlights of the graduate work by clicking here. CONGRATULATIONS to ALL SEPTEMBER 2012 GRADUATES!!! Florum 2012 exhibit at Seven Oaks Wildflower Reserve in Kent includes this year 333 quality works of botanical art by 62 invited artists, featuring paintings in a variety of media, silk paintings, textiles, embroidery, wood engravings, original jewellery, lino cuts and landscape etchings. This exhibit was initiated by Elizabeth Smail in 2005 and major part of the exhibit profits are donated to the upkeep of the Reserve which is a 55 ha spectacular oasis for the flora and fauna. The review of this first class exhibit can be found here. Visible Empire: Botanical Expeditions & Visual Culture in the Hispanic Enlightenment by Daniela Bleichmar (The University of Chicago Press) focuses on travel, art and science of the 18th century Spanish Empire. In the 17th and 18th century European botany was an important science because it meant exploration of new lands and gaining information of unknown, new and exotic plants and environments for the host country. The relationship was different within the Spanish Empire: Spanish Empire was documenting their own colonies which had been in their possession already for 250 years. 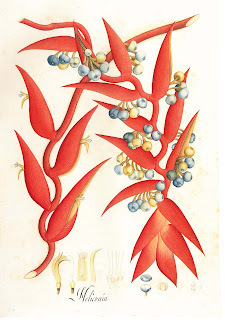 The Spanish crown organized and financed several expeditions to Central America, South America, The Philippines and Europe resulting to ca 13000 images, of which the majority is preserved in the collections of the Royal Botanical Garden in Madrid. The book approaches the visual history in five ways: (1) detailed visual analysis; (2) process of making and using the visual material; (3) connection between the images and other natural history specimens and texts; (4) examination of various types of work that images performed; and finally (5) study of the images both within and outside the usual understanding of the histories of art and visual culture. This is a lavishly illustrated volume of 286 pages about the little known history of the scientific expeditions in the early Spanish Empire. It is extremely interesting reading and an absolute must for everybody who is interested in Botanical illustration and its early history. Artwork in Japanese textiles has been a major part of the beauty of the garments which were once worn by all Japanese people. 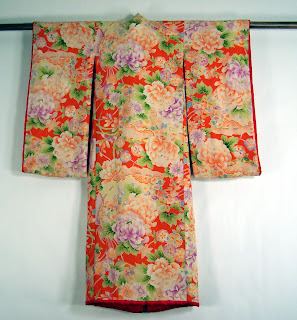 Because the basic shape of the kimono and haori has changed very little over time, the artwork and decorations have taken on more importance. We will be looking at many examples of Japanese artwork on the beautiful kimono. Janine Thorman studied fashion design at Colorado State University in Fort Collins, Colorado. Her Colorado showroom holds anywhere from 1,000 to 2,000 kimonos at one time, in every color, texture, weave (damask, ikat) and embellishment (embroidered, shibori tie-dye, hand-painted), as well as every style of kimono such as uchikake (wedding kimono), haori (short jacket), michiyuki (traveling overcoat), yukata (cotton kimono) and hakama (split pant/skirt usually for men). From﻿ mushrooms, alternate graphite to horologium florae and many more classes were completed during July - August in our Illustration program. Please see same samples of the student work by clicking here.